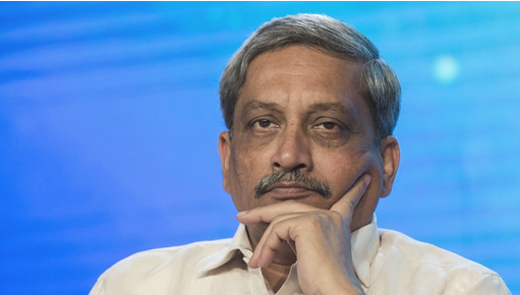 Goa, March 17, 2019: Manohar Parrikar, Goa Chief Minister and former defence minister, has passed away at the age of 63 after a long battle with pancreatic cancer. Parrikar was diagnosed with advanced pancreatic cancer in February 2018 and had been in and out of hospitals in Goa, Mumbai, Delhi and New York since. Parrikar’s health worsened on Saturday, 16 March sparking hectic political activities across parties in the coastal state. He was suffering from a pancreatic ailment. The strength of Goa Assembly has reduced from 40 to 37 after the death of one MLA and resignation of two others. The Congress currently has 14 MLAs, after two of its MLAs joined the BJP. The BJP has 13 MLAs in the state and has formed government with the support of three MLAs each of the Goa Forward Party, MGP and an Independent one. From an RSS pracharak to a Union Minister, the technocrat-turned politician was known for his administrative acumen and clean image, which left an indelible mark on the politics of the tiny state. A Mumbai IIT graduate in metallurgical engineering and among the first members of BJP in Goa, Parrikar was instrumental in raising the profile of his party from its just four members in state assembly in 1994 to its present status as a ruling party in the state assembly. Deeply Saddened, Says Rahul Gandhi on Parrikar’s Demise. Congress President Rahul Gandhi took to Twitter to express condolences.